Salvia brandegeei is native to Santa Rosa Island near Santa Barbara. The long bumpy leaves of Brandegee's Sage are a great textural aspect of this plant even when it is not in flower. Salvia brandegeei grows to about four feet tall and wide. 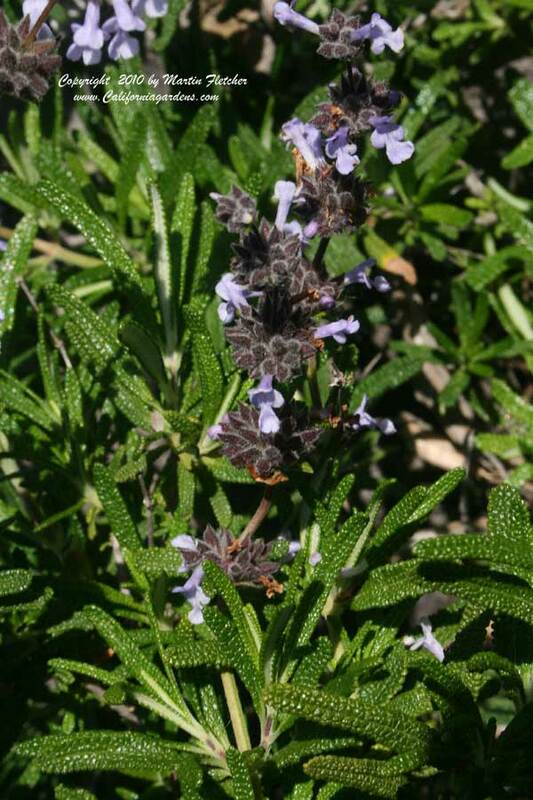 The lavender blue flowers of Brandegee's Sage bloom in the late Winter through early Spring. Salvia brandegeei is nectar source for the Painted Lady, Mournful Duskywing and the California Dogface Butterfly, Cloudless Sulfur and the Northern White Skipper and is a great addition to the hummingbird garden as well as the butterfly garden. High resolution photos of Salvia brandegeei are part of our garden image collection.